How can I tell if a dampness problem in my home has been caused by cavity wall insulation? The first clue will be in the timing. If you have lived in your home for a few years and never noticed any dampness problems, but then had CWI installed and dampness problems start after that, then it is quite probable that you have cavity wall problems. If the dampness if most evident on a south-facing or west-facing wall (one that gets the most wind-driven rain), then it is likely that the CWI is allowing rainwater to track across the cavity. The only way to be sure that this is the case is to get a builder or Chartered Surveyor to inspect the inside of the cavity. This can be done by drilling holes in the outside brickwork in the suspect areas and looking through boroscope – an optical probe. 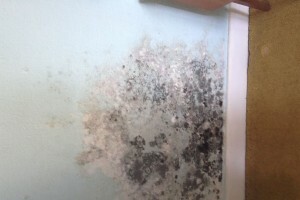 This will often reveal damp CWI, debris, and voids. If the boroscope inspection doesn’t work, then it might be necessary to remove a few bricks and physically pull out a handful of the insulating material. How can I get my cavity wall problems rectified? Write to the firm that installed your CWI, explaining what has gone wrong, and insisting that they rectify the situation at their own expense straight away. Send this letter by signed-for delivery, and also send a copy to the Cavity Insulation Guarantee Agency (CIGA). If the installing firm is still trading (some of them are not) then it is their responsibility to rectify the problem. If they refuse, or if they are no longer trading, then responsibility falls on CIGA under its 25-year guarantee. The cavities in my home were insulated by a previous owner and they did not leave the guarantee. How can I tell who the installing firm was, or if a guarantee was issued? Write to CIGA giving the full address of your home, and name of the previous owner, if you have it. CIGA should tell you if they have a record of the installation and guarantee. 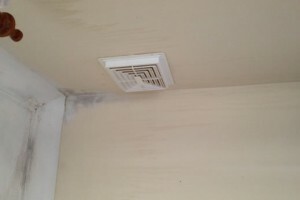 The installing firm has been to inspect my home, and they say the dampness problems are not caused by CWI, but by defects in the building and/or by “lifestyle condensation”. To paraphrase the immortal words of Mandy Rice Davies, “They would say that, wouldn’t they?” Cavity insulation firms will usually try this as their first line of defence, but it simply won’t wash. They are supposed to have carried out a survey of the property prior to installation, for the very purpose of identifying existing building defects. If any alleged defects were not spotted, then either they don’t exist, or the surveyor was negligent. Either way, the installing company is obliged to remove the CWI and make-good any damage it has caused. CIGA itself has sent an inspector, and his report says the dampness problems are not caused by CWI, but by defects in the building and/or by “lifestyle condensation”. CIGA is an organisation which claims that, “If something does go wrong, CIGA is at hand to put things right for consumers.” It is odd, then, that both of CIGA’s inspectors also seem to regularly regurgitate the “building defects or lifestyle condensation” defence. The only logical reason for this must be that CIGA knows it does not have enough money to pay for all the extraction and repair costs covered by its six million guarantees. It is very annoying, when you know that CWI has made your home damp, to find that GIGA is treating you with contempt in this way, and trying to wriggle out of its guarantee obligations. You will just have to persevere. The majority of CWI victims do eventually get their insulation removed, and damage repaired, free of charge, by either the original installer or by CIGA. CIGA has recently appointed a “Consumer Champion”, Teresa Perchard, who is supposed to investigate cases that remain unresolved after more than two months. It is to be hoped that this will improve CIGA’s attitude to victims’ complaints, but it is too early to say whether this will be the case. Should I engage a specialist CWI extraction firm to remove the insulation? Our advice is that you should first try to get problem CWI removed by the installing firm, or by CIGA under the 25-year guarantee. However, there are cases when this is simply not possible. For example, the installation might never have had a guarantee issued for it, or it might have been done more than 25 years ago, in which case the guarantee will have expired. Other examples are owners who simply do not have time to go through the protracted process of fighting the installers and/or CIGA, and need to get their cavity insulation removed immediately – because of the health problems it is causing, or because they need to sell their home quickly. There are many firms offering a CWI extraction service. They are almost all firms that also carry out cavity insulation, or used to. You might well be suspicious about engaging any extraction firm that is associated with the CWI industry – which might well employ the same staff that were responsible for your wrongly-installed CWI in the first place. Should I appoint a solicitor to act for me? It is recommended that homeowners should approach the installer or CIGA in the first instance. However, there are many cases where the installers and/or CIGA refuse to admit liability or to even acknowledge the issues, in which case legal action is the only remaining option. In this respect, there are a handful of reputable law firms specialising in cavity wall claims in the marketplace that specialise in this area and will be able to assist.